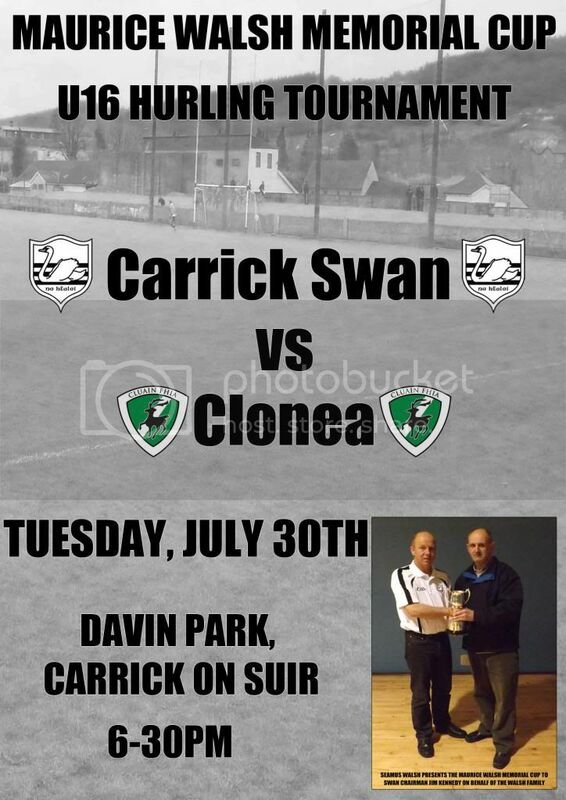 This coming Tuesday our u16s take on Clonea for the inaugural Maurice Walsh Memorial Cup. Throw in is 6-30pm in Davin Park. All support is very much welcomed.